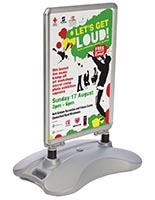 Are you shopping for a sandwich board to help attract more patrons to your business? 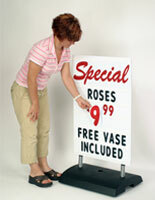 Do you need a sidewalk sign that is easy to move, yet won't blow over easily? 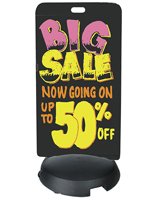 There is sure to be a sandwich board for sale here that will satisfy any need or style preference. 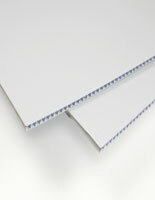 Choose from several poster sizes and designs offered in this online collection. 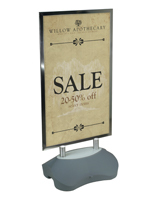 This sandwich board, a-frame advertising display is intended for outdoor use. 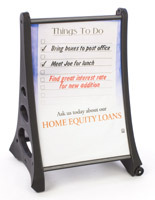 The large frame allows users to create a custom sign or graphic that can be seen from far away. 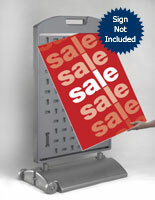 Most of the sandwich board options offered here are double-sided. 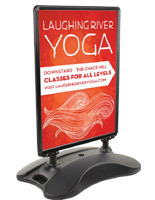 Use this sidewalk sign to post a menu on one side and a colorful advertisement on the other. It's like getting two sandwich board displays for the price of one! 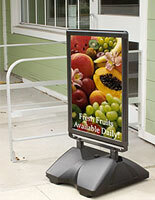 The majority of the outdoor sidewalk displays offered here feature a snap frame design with a protective lens. 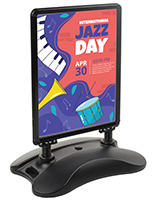 The framing keeps the signage secure within the sandwich board and a plastic overlay helps to minimize the negative effects from moisture and the sun. 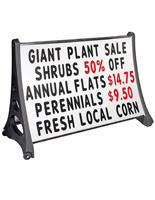 Some of the sidewalk advertising sign holders offered here may not have all of the features listed; please read the product details pages for further details. 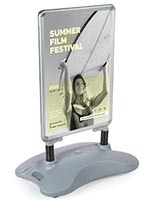 This sandwich board is supported by a heavy-duty plastic water-filled base. Simply unscrew the cap on the top of the base and pour sand or water inside to keep the unit stable even in windy conditions. 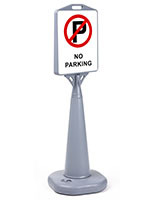 This sidewalk sign, also known as a sidewalk sign, can withstand adverse weather and moderate winds. 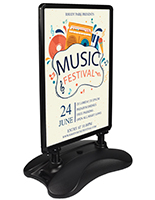 Durable metal springs are designed to keep the outdoor sign frames steadfast and unfaltering in windy conditions. 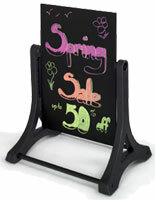 We sell this sandwich board in many different sizes for shoppers to choose from. 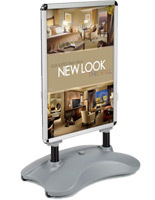 Some of sidewalk signboards use weather-proof gaskets to ensure users advertising posters will remain protected. 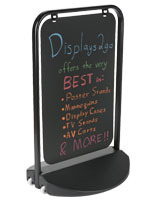 Find the right sandwich board for your business right here at D2go! 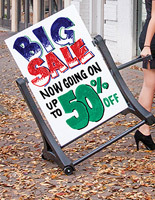 Where are these sandwich boards typically used? 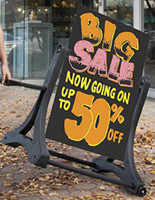 Bars and taverns use these sidewalk signs to advertise drink specials as well as upcoming live entertainment. 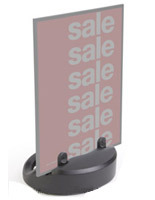 Boutiques and specialty shops use these sandwich boards to announce store hours or to promote an ongoing sales event. 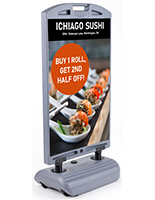 Dining facilities such as cafés, quick service and traditional restaurants use these outdoor advertising signs to promote menu items and to display hours of operation. 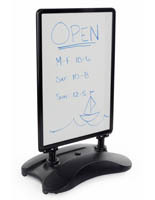 What are some important factors to consider when using these sandwich boards? When using water as a filling agent for the base; users should monitor the level periodically in hot weather conditions. 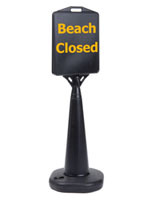 Sand should be used to fill the base of these sandwich boards in extreme cold temperatures as water would freeze and expand causing possible cracking in the base. 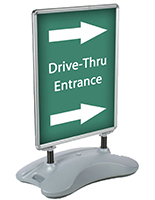 As with any outdoor portable signage, these sidewalk signs should be brought inside during rain or snow storms to keep the unit in pristine condition. 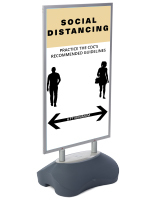 The pavement signs, outdoor displays, and other portable signage in this series provide easy relocation with built-in wheels. 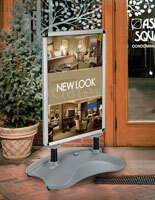 Roll the advertising sign frames outside your restaurant or across a parking lot without hassle! 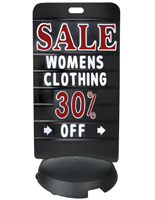 These sandwich boards are rugged outdoor signs available straight from our facility. At this online warehouse, shoppers can buy restaurant supplies and other necessities to outfit an entire food service business. 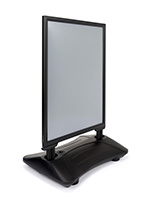 Buy from one of the leaders in this business. 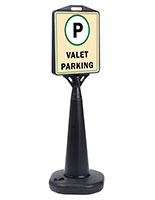 The prices offered here are unmatched by any of our competitors. 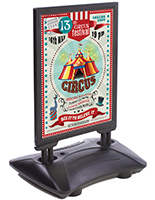 This online retailer has been making and selling point of sale products for over 40 years. 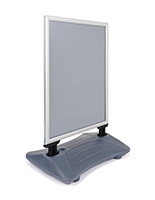 This company was founded on the basic principles of selling quality products and providing excellent customer service and support. These fundamentals have helped to keep this business as a leader in this industry. 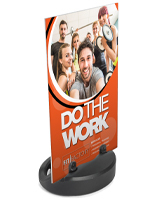 One look at the huge selection and diverse products offered here, and most shoppers quickly discover why this site is the country's #1 choice for a wide array of marketing solutions. 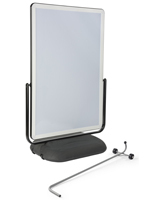 Shop through this e-catalog and find such items as; outdoor signage, indoor menu boards, tabletop advertising frames, food displays, bulk bins and café umbrellas just to name a few. This site is home to over 7000 individual fixtures that make up the current inventory of more than two million units contained in the warehouse located in MA. 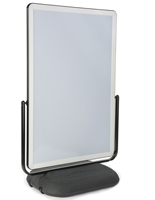 Along with this incredible selection of products there are representatives available weekdays during normal business hours to help shoppers with a wide array of services. The call center experts complete months of in-depth training on systems and procedures as well as product awareness prior to taking any "live" calls. 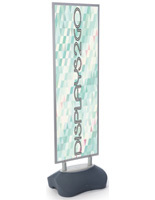 Shoppers can contact a member of this friendly staff for questions regarding any of the items sold on this site, as well as, check on existing order status, request a freight quote, or simply place an order. As an added convenience there is an also instant chat service available Monday thru Friday for customers that prefer electronic communications rather than phone. 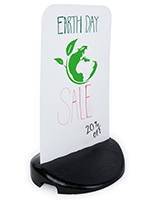 Online chat is ideal for shoppers that have a simple question, and don't have a lot of time to spare. 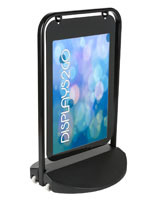 Start shopping now and see what most other businesses have already discovered; Displays2go is a reputable manufacturer and supplier of quality products and always has friendly and knowledgeable employees available for support when needed.